Washington State law outlines all of the crimes that can incur a felony charge. These are broken down into three classifications according to their severity, each with its own punishments. Any felony charge should be treated seriously because the repercussions of a conviction can affect your life in countless ways. Protecting your legal rights is paramount, so it makes sense to work with an experienced team of Federal Way felony attorneys who will ensure you are treated fairly. The outcome of your case may depend on the effectiveness of your defense, which is why you should work with qualified Federal Way felony lawyers that can help guide you through this difficult time in your life. A felony conviction incurs mandatory penalties that could cost you your freedom. Even those closest to you could suffer as you face prison time or lose your ability to provide for them. With so much at stake, you should contact the Federal Way felony criminal attorneys at the Law Office of Jason S. Newcombe and make sure that your legal rights are being defended by a professional. Building a defense starts by fully understanding the nature of your charges. Our Federal Way felony attorneys will help you define how the law applies to your case, and then outline the punishments that a conviction incurs. To better understand how your case may be resolved, our Federal Way felony criminal lawyers will discuss any plea scenarios and what could happen if your case goes to trial. Our Federal Way felony criminal attorneys have more than 30 years of collective experience, so we usually have an idea of what to expect. We will help you develop a defense designed to minimize your punishments by thoroughly investigating your case. 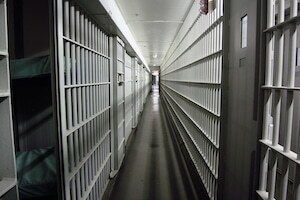 Our Federal Way felony lawyers are familiar with the prosecutors and courts that try felony cases. Our primary goal is to ensure your legal rights are defended every step of the way, while making sure you have the opportunity to have your voice heard. Contact our Federal Way law office for a free consultation, and start getting some reliable answers about the law. Make informed decisions regarding your felony charges with help from qualified lawyers who are eager to resolve your case in the most favorable way possible. If you retain one of our experienced Federal Way lawyers, they will pursue your legal interests and provide you with trustworthy counsel as you confront your Washington felony charge.